A biography of the author, civil rights leader, and co-founder of the NAACP who blazed a trail for racial equality and human rights through his songs, poems, speeches, and other writings. About Jane Tolbert-Rouchaleau (Author) : Jane Tolbert-Rouchaleau is a published author of young adult books. 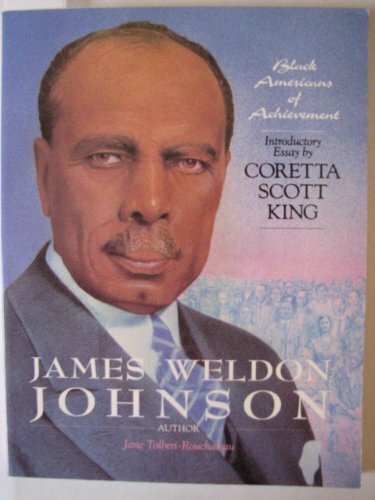 A published credit of Jane Tolbert-Rouchaleau is James Weldon Johnson (Black Americans of Achievement).